Watch for these and other upcoming stars in action!! 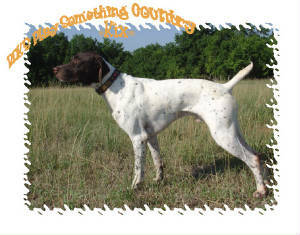 Kix took first in the Open Derby and Second in the open puppy, at the Heart of America GSP trial March 31-April 2, 2006. 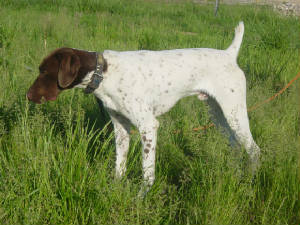 Kid is out of NFC/FC/Reg.Ch/NGSPA Quail R-Up, NRC'S Magnum's Touch of Gold. He has great style, and loves birds. Shooting for another title, watch these upcoming stars.